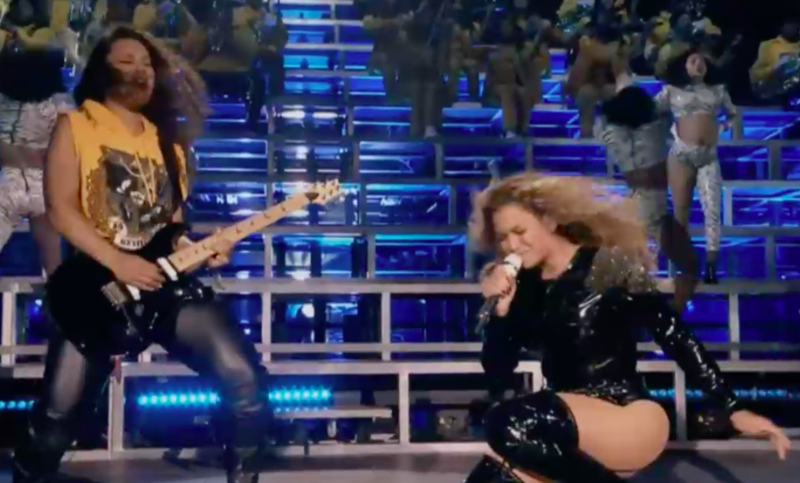 In what fans have taken to calling Beychella, Beyoncé’s headlining performance at Coachella was a huge, career-defining event that expertly weaved many strains of black music—from New Orleans brass to West Side Chicago hip-hop—with an enormous group of musicians with her on stage. 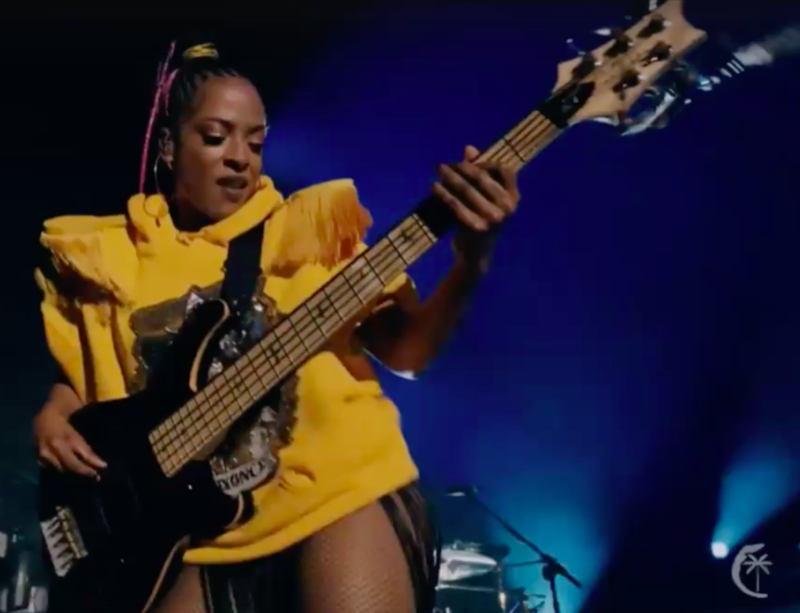 That assemblage included a full marching band and drumline, as well as orchestral strings, but at the core was the group of women that make up Beyoncé’s touring band—which includes bassist Lauren Taneil and guitarist Francesca Simone—and their favored PRS gear. Both artists are longtime players of PRS instruments, with Taneil being known to play both 4- and 5-string PRS Grainger basses. She wielded her black 5-string Saturday night. Simone took centerstage for a solo with her black PRS 305, which she’s outfitted with Seymour Duncan pickups. While much has been made of PRS’ Silver Sky Strat copy for John Mayer, the company’s 305 and DC3 are previous iterations of a Fender-style dual cutaway.